We Passionately Protect the Rights of Emergency Room Victims. There is no room for error or mistake in ER. If error occurs, then the negligent party should be held accountable. That’s what we at Adams Legal Group PLLC believe in. The medical staff in emergency rooms is usually incredibly busy as they are continuously providing care and treatment to patients who require urgent attention in large volumes compared to other medical settings. And since they work in such a busy environment, it is vital for them to make sure that they have a high level of attention to detail along with a sound ability to make accurate and fast medical decisions to save lives. Patients visiting an ER are usually already in critical condition, therefore there is simply no room for inefficiency, error or mistake. Such errors can make the condition of the patient worse, resulting in deterioration of the condition or even death. If you have been a victim of emergency room errors or lost a loved one because of one, then the law of West Virginia gives you the right to claim medical malpractice. And this is what our emergency room errors attorney can help you with. Due to their error or negligence you were harmed. Our attorney will review your case to determine if the provider was negligent and also provide you with quality guidance and assistance in collecting proof for emergency room errors. 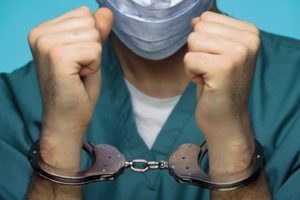 With a few exceptions, the law of West Virginia requires medical malpractice claims to be filed within a span of 2 years from the date of injury due to ER error. So, don’t delay the process, get in touch with us today. Please call us on local phone (304) 381-2166 or toll free (855) 822-0140 to schedule an initial consultation.